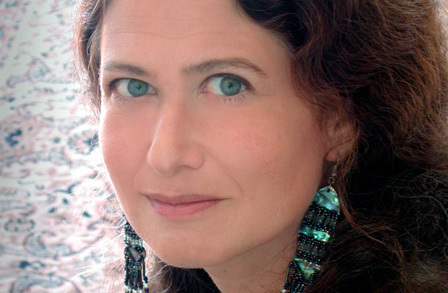 Months ago, in preparation for a workshop/class I was going to lead in nature writing for the Musehouse Writing Center I asked the poet Jane Hirshfield several questions about her views on nature and poetry. Aside from her wonderful books of poems, Hirshfield also wrote a collection of essays called Nine Gates, which deals somewhat with that subject especially in the “Two Secrets” chapter. The class never happened, so I’ve been sitting on this wonderful interview for months and decided that I should just publish it as is so other readers can benefit from it. The questions here are not a comprehensive look at my interest in the subject, but they’re interesting on their own and I think worth attention. Eventually I may try to wrote a whole coherent article, but the chances are getting slimmer all the time. I also asked Ted Kooser and William Heyen similar questions. I’ll post their responses separately. Do you think writers’ approach to nature/wild has changed in the contemporary world? Another way of asking—has our dependence on technology and distance from nature changed the poet’s relationship to it? It’s hard to speculate about others’ inner experience—but I do suspect that increasing swaths of time in the “information technology” world is affecting poets—as urbanization itself long has. There’s a dangerous rift and amnesia that leads to hubris, exploitation, that carries from the environment and creatures into our treatment of other humans as well, when only mediated experience is seen as “real.” Aesthetically, concentration on what’s only within the human surround can be seen as being contemporary or as claustrophobic—the response varies. I myself made a very deliberate choice to live in a way exposed to and in connection with the natural. I grew up in lower Manhattan, and wanted something less controlled and modulated in my life. But all of us carry the template of our age, and even if my poems rarely mention busses or an elevator or a comic strip character, I am quite sure that my thoughts move as the 21st century does–with increased speed and compression, acceptance of fracture, comfort with the jump cut. In a way, though, you could say that poetry itself foreshadowed all these “contemporary” habits of mind—it has always leapt, fractured, compressed, courted the uncertain and contradictory as much as courted expression or “beauty.” But how could something even as simple as electric light not alter our psyche’s relation to darkness? Perhaps we turn toward darkness more, now that it is escapable. Perhaps we must turn to bewilderment more, when we live in such orderly grids as we do. As Gary Snyder has long pointed out, we humans are nature. What we do is what nature does. Still, remembering the larger field recalibrates. Going up into the High Sierra puts anxiety, selfishness, sentimentality, and neurosis into scale. In what way do poets sometimes abuse (misuse) nature (I’m thinking of bad Romantic poems here mostly, but you please respond any way you like)? There are no rules here—I am willing to go on record (heresy!) as being in favor of certain kinds of personification and anthropomorphizing in poems, even as I know they can be horribly abused. It works when it enlivens possibility, fails when it cheapens or simplifies or presumes. What we don’t know, cannot know, has to be remembered and honored. Still, Aristotle praised personification–what we’ve come to call “the pathetic fallacy”—as the “animating principle” in poetry, and I would not give up any mode of meaning-making, so long as it’s used deftly, subtly, toward accurate expansions and not the sentimental. Every metaphor works by internalization of the image into the self. How else could we understand, except by taking in, and trying on the image from inside our own lives, histories, minds? Comprehension is empathic. We understand even “2+2=4” because we have fingers, feelings, hunger, bodies with mouths as well as brains. I’ve used certain haiku as examples of the objective mode—and such poems do need a reader able to feel them fully, or they will be uninhabited ink, ash-shapes. But such a reader is precisely the opposite of feelingless—rather, that reader who is able to feel these poems is a human being so tuned to the full actualities of existence that he or she can feel a spectrum of emotions outside the usually available names—the way a bee can see the ultra-violet road-stripes on certain flowers, which we cannot. Galway Kinnell says we must include the city in our definition of nature. What do you think of that? Can the city work for the poet in the same way as the forest or the sea? Of course. Our cities are termite mounds and bower bird nests, felt fully. Mark Doty can write urban natural history in a way absolutely continuous with his poems that are set in the non-urban. Who are your favorite contemporary poets who write with nature/wilderness themes? Snyder is still a master. Merwin. Heaney’s poems of recollection. Pattiann Rogers, Alison Hawthorne Deming, Sandra Alcosser. Milosz is dead now, but his passion for the natural world was exemplary. Some of Hass. Some of Kay Ryan. Jim Harrison, Dan Gerber. But really, even making this list feels somehow like putting lipstick on a tree. I prefer not to segregate poets by theme—Auden was as urbane as a poet comes, and then there’s his “In Praise of Limestone”; Robert Frost’s concerns were profoundly and ultimately human. And if we understand ourselves as part of nature, there’s not a poet who isn’t a nature poet. I suspect our relationship to the larger existence of this planet would be most restored to sanity if that were the principle we held in mind, rather than one of separation and difference. We are mammals, with mammals’ concerns. That thought, at least to me, is not ignoble or diminishing—it’s curative, chastening, and enlarging. Here’s a short video of Hirshfield reading. Youtube is loaded with Hirshfield videos. a tanker ruptures or trains derail to drive our cars. The GOP approves our plans for the Keystone Pipeline. was listening to the Sierra Club and Interior. wavers coming when oil prices were low. we can force our plan for the Keystone Pipeline. this banquet this day build the Keystone Pipeline. Nesting boxes for cranes? A commemorative Sand Hill plaque? Return of owl and endangered newt? Who are these men? The National Resource Defense Council on plans for the Keystone Pipeline? If you want to read and hear Hugo’s original, go here. Maybe you didn't hear me right. Read Robbins’ complete post here. I find that particularly interesting because it’s a phenomenon that comes up from time to time in workshops—both ones I’ve participated in and ones I’ve led as the instructor. Recently in fact, I pointed out a remarkable connection made within one student’s poem. I remember telling the student that even if he didn’t do that intentionally it was still brilliant, and he should take ownership of it (and further develop it). If you’ve read other posts of mine, you probably know that I like poets to take some responsibility for their words. I want them to actually intend something, and I want to be able to connect with that intention without needing footnotes or a backseat driver. That of course doesn’t mean I’m against the mystery and discovery involved in good poems. I’m not advocating literalness. On the contrary, we work in images, metaphor and other mystical herbs that scare most readers away. But if intention counts for nothing, then I don’t really know why I work so hard at this. Yes, there are times when the perfect word or perfect image comes to me, and I may wonder why a perfect word or perfect image won’t come for another poem. If I put the same amount of effort into it, why don’t they both work out equally well, intent be damned? I suppose I could ask the same thing about fishing. Two days or two weeks in a row I may fish the same stretch of trout stream, applying the same techniques, casting the same flies, and come away with completely different results. There’s a lot of craft, a bit of science and a touch of alchemy to both endeavors. That’s the mystery, of course, and probably the subconscious is involved somehow, and maybe the wine or coffee I was drinking at the time. Robbins isn’t willing to give much credit to the subconscious in those situations, so we’re left with just the wine. This is a craft after all, right? I could throw out intention if we were talking about reading tea leaves, but poetry isn’t quite so random, usually. Trout fishing also is a lot less random now than when I first started doing it, but the trout still have the edge. Anyhow, I have no answer, or at least not an easy one. Maybe that’s why I like poetry so much better than math. And fishing so much better than, well, almost anything. If there’s no single answer, then you can’t be wrong.